This week…the Grand Californian gets a gingerbread house and it’s almost time for a Christmas tradition at Disneyland Park. A large gingerbread house has been installed in the lobby of the Grand Californian Hotel. You can check out more pictures and information in Nancy Johnson’s recent blog. 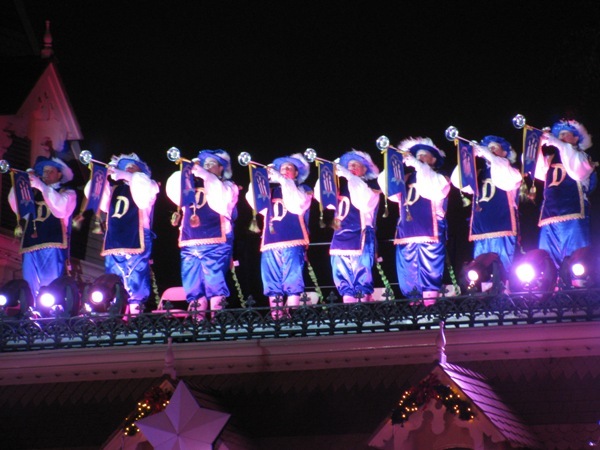 Candlelight Processional takes place in Town Square this weekend (12/06 & 12/07) at Disneyland Park. On the 11/27/14 podcast, listener Brian returns for more holiday trip planning advice and Michael has part one of his chat with David Lesjak about the Walt Disney Studios’ involvement in World War II. Does anyone know how to get a spot to watch the fireworks at Disneyland from the Main Street train station? CM’s have said you need a reservation, but do not offer any other info. Thanks!